Meryl Streep has always been one of our most reliable actresses. The three-time Oscar winner has starred in some iconic films, from Sophie’s Choice to The Devil Wears Prada and from Kramer vs Kramer to The Iron Lady, she can turn her hand to almost anything. However, her latest role sees the fan favourite star as an ageing rock star who must heal the voids in her family after an incident. 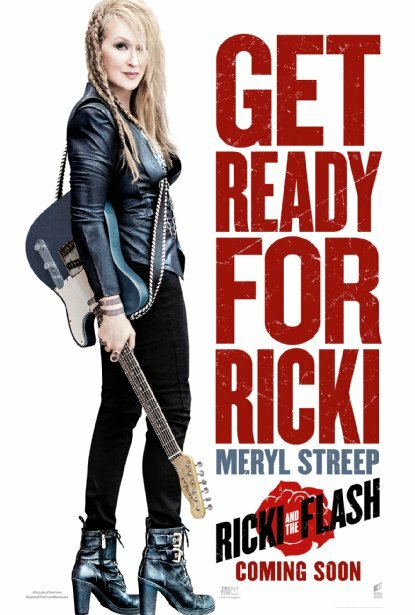 But does Ricki & the Flash do Meryl proud? 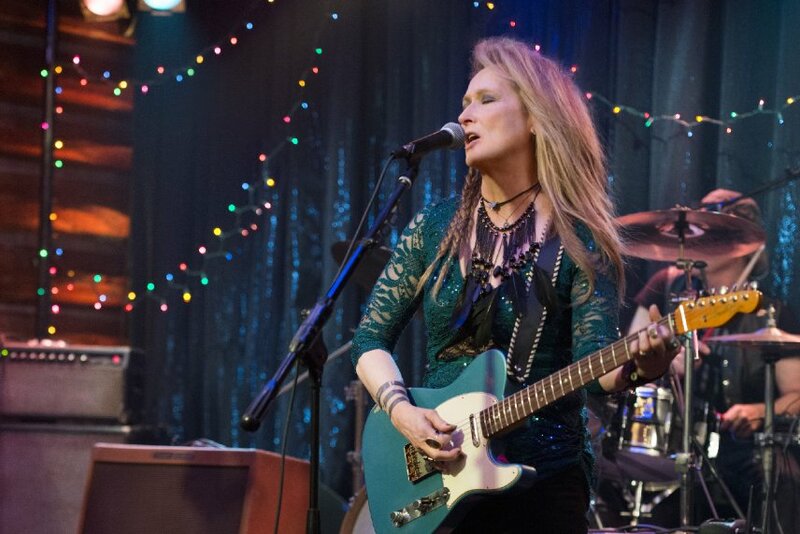 The film sees Streep play Ricki Rendazzo, aka Linda, a musician playing in the pubs of California, estranged from her family after years of absence. Suddenly, she’s thrown back into the mix after her daughter Julie, played superbly by Meryl’s real-life offspring Mamie Gummer, faces a personal crisis. Starring alongside the Academy Award winner is the ever-reliable Kevin Kline as Linda’s ex-wife Pete. His scenes with her show real chemistry and the relationship they share is completely believable. Having Streep’s daughter on the screen with her was a masterstroke by director Jonathan Demme (The Silence of the Lambs) and they share more than just a familiar face. Their mannerisms are completely in sync and match up together in more ways than any acting class could have taught. Unfortunately, the clichéd script and predictable story really let Ricki & the Flash down. There’s not an ounce of originality here, despite the great casting, and the ending is signposted not only in the film itself, but in the trailers – the cardinal sin of movie marketing. What is a pleasant surprise however is Meryl’s cracking vocal performance. With her belting out hits like Lady GaGa’s Bad Romance and Pink’s Get the Party Started left, right and centre, the soundtrack is positively sizzling and a real highlight throughout the film. Nevertheless, Demme’s usual visual flair, for which he won an Oscar back in 1991 with The Silence of the Lambs, is nowhere to be found here. The cinematography is inoffensive enough but lacking in any real punch, a disappointment given the film’s bursting energy. I feel that Streep too is aware of these shackles and her characterisation, whilst capable, lacks the finesse of some of her other work. Let’s remember though, that Streep at her worst is many other actresses at their best. Overall, Ricki & the Flash is a capable film led by a pleasant and inoffensive cast. Meryl Streep is always reason enough to give any movie a go, but this somewhat muddled comedy drama is towards the bottom end of her work. Want more Meryl, head on over to the Top 5 Meryl Streep Roles.